Win $50 To Rally House With The Rally House ReCap! 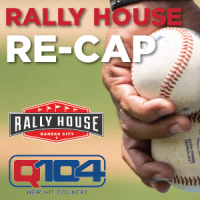 The boys in blue are back at the K and Q104 and Rally House want to hook you up with a $50 gift card so you can show your KC Pride for our hometown team! CLICK HERE to make your guess!